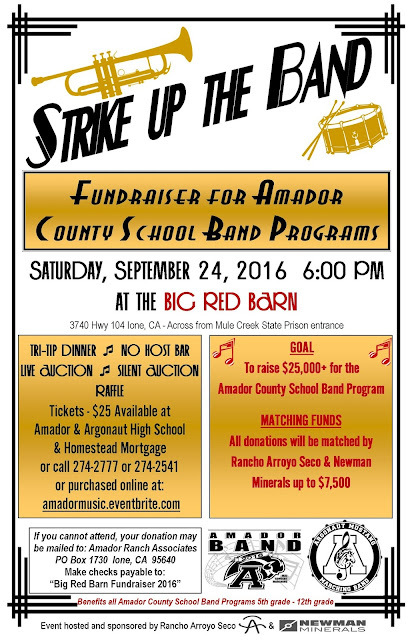 IONE, CA—This year’s BIG RED BARN, sponsored by Rancho Arroyo Seco, will support all Amador County school music programs. Proceeds will benefit all schools from 5th grade through high school. This is the 10th annual event, and is planned for Saturday, September 24th at 6:00 PM, at the BIG RED BARN in Ione. The goal is to raise $25K or more. Rancho Arroyo Seco will once again match up to $7,500. The next First Saturday of the monthly Amador Art Trek will be September 3, a free self-guided walk or drive-and-walk tour that provides easy public access to where art is located, whether in galleries or businesses that hang unique art on their walls. Part of Art Trek is the monthly “1st Saturday” when many participating galleries have receptions in the afternoon to kick-off their new shows. Within Amador County and just across the Mokelumne River is a thriving creative art community, and this is the best time to experience it, even meet artists. Can’t make Saturdays? You can enjoy the Art Trek ANYTIME that the galleries are open. Go to www.amadorarts.org to find the details about each month’s specific gallery events. The 2016 brochure is in circulation that acts at a quick reference guide --a map, names, addresses, and hours of the participants. Acme Art – Moke Hill “A Creative Playground” in historic Mokelumne Hill. ACME ART be offering limited classes for September and October while owners Will and Anne pursue long-planned) travel across America. The studio will be well tended by local artists Deborah Marlene and Marchand Heimann including Wednesday evening "Schnickle Art". Visit http://www.acmeartmokehill.com/for more details. Add Art- Jackson. Fine art framing services and the colorful original work of the late John Johannsen are featured. This world renowned artist’s vibrant and whimsical canvases are sought after by many collectors. We are saddened that his home/studio where he once lived and stored his work in Jackson burned to the ground last year, but here, you can still see and buy Johannsen’s rare works. AmadorArts Gallery- Sutter Creek. For September: Preview Show of all 43 artists participating in the Amador Open Studio Tour. Come and see examples of work before you take the free self-guided tour on September 17-18 organized by the Amador County Artists Association. The gallery also offers items such as jewelry, art cards and small works of local scenes. On September 3, the gallery opens at 11 am, reception at 3-6 pm. Normal hours are Sats. and Suns. 11 am to 4 pm. Call 209-267-9038 for weekday hours. Chaos Glass Works- Sutter Creek. Art Glass Gallery and Hot Shop: David and Heather Hopman make a wide variety of art glass items. Live glassblowing demonstrations happen all day on weekends. Their unique work created in the studio/gallery was recently spotlighted in a multi-page cover story article in a regional newspaper. Fine Eye Gallery- Sutter Creek. Unexpected wonderment awaits you here in this spacious gallery where the collection of works reflect the innovative talents of artists and fit with today’s lifestyles.Don’t miss the art of Debo Groover, Adix sculptures, lamps by Mark Taylor, and trash to treasures assemblages by Anne Cook. Also featured are the vibrant functional fused glass bowls, plates and centerpieces of Me2U. Browse the many other artistic gifts, perfect for weddings, and other popular items like artsy fashions. Gallery 10- Sutter Creek. 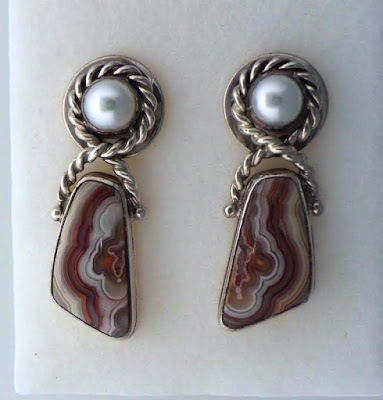 For September: Opals in several of their varieties--Crystalline, Ethiopian, and Boulder to name a few, will be jeweler Marie Martz-Mort’s focus as the featured artist. She will also be showing some of her photographs with a theme of native birds, including Ravens, Stellar Jays, and Pileated Woodpeckers. A reception in honor of Marie will be held on Saturday, September 3, 2-5 P.M. at the gallery on Eureka St, Sutter Creek. Marie's show may be seen all of September. Gallery hours: Thurs.-Monday, 11-5. Little City Studio and Gallery- Amador City. As always at this gallery shop, you'll find a great choice of artworks by local artists including Gwen Starrett, Bruce Peccianti, Katherine Venturelli and so many more. Owner Carol Sethre just finished weaving the most colorful rug of her life - from fuchsia to blues and greens! 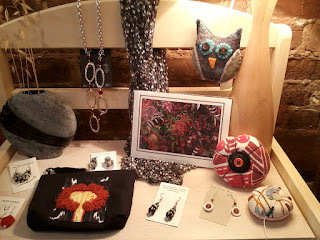 Jewelry by Kris Boro, Edie Beady, and Karen Chrysiliou. Left Coast Sea Glass offers lovely earrings and necklaces that Gail matches individually from her scavenging on California coastlines. Pottery, scarves, and a nice collection of consignment clothing awaits your perusal! "Beautiful handmade things at very reasonable prices." Main Street, Amador City Hours: F,S,S 10-5. Sutter Creek Gallery- Sutter Creek. For September, the theme is, appropriately, Fall Splendor. Some of the gallery’s newer art cooperative members—Andrea Morris, Ruthie Sexton, and Vickie Chew—will be participating in the show. The reception for this show will take place on September 3 from 3 to 6 p.m. Beverages and appetizers will be offered and many of the member artists will be on hand to greet visitors. Come see this splendid show on the 3rd or during the month of September. The gallery is normally open Sunday, Monday, Wednesday and Thursday from 10 am to 5 pm, Friday and Saturday 10 am to 6 pm. These are the businesses on the Art Trek which also offer on their walls a glimpse of the art found in the region: Amador 360 Collective – Plymouth; Union Inn and Pub- Volcano; Sina’s Back Roads Café - Sutter Creek; Rosebud’s Café- Jackson. ; and Uphill Vineyards Tasting Room- Amador City. The jewelry of Marie Marz-Mort is featured in Gallery 10. 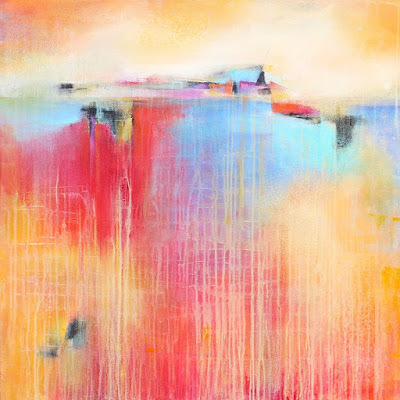 Andrea Morris is one of the member of Sutter Creek Gallery who is exhibiting in the Fall theme show in September. 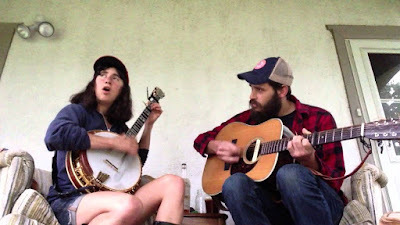 August, 2016-Sutter Creek, CA: Friday, September 9 at 7 pm Feist Wines presents rootsy, bluegrass band, The Lowest Pair. This is the last in a summer music series that hosted Grammy award winner Sean Watkins, Smooth Hound Smith who are on tour with the Dixie Chicks and LA band The Americans. The Lowest Pair is made up of Kendl Winter and Palmer T. Lee. Winter was born in Arkansas and moved to Olympia, Washington after high school, drawn to the evergreen forests and the lively and thriving music scene. She put three solo records out on Olympia’s indie label, K Records, and performed in nationally touring northwest string bands before starting The Lowest Pair in 2013. Palmer built his first banjo when he was 19 from pieces he serendipitously inherited. Shortly after deciding songwriting would be the most effective and enjoyable medium for his musings, he began cutting his teeth fronting Minneapolis string bands and touring the midwest festival circuit, which is where he and Kendl met, on the banks of the Mississippi. “Both of us studied roots music and traditional banjo techniques. We started there and then from our understanding of them have diverged. We approach our instruments as vehicles to explore poetry, song, and melody and have been making up our own sounds in the places where we couldn’t find ones that seemed to fit or make sense to us.” says Winter. 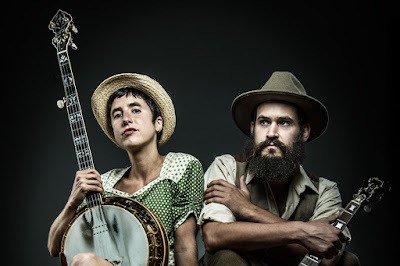 Fans know that the chemistry between Palmer’s Midwestern charm, Kendl’s poetic and playful way with words, her unique approach to the banjo, and her barefoot-in- the-cool-river-water mystique combine to make a powerful sound. They have added harmonica, drum, bass, violin and thus an incredible expansion of their songbook. Rooted in truth, they capture the juxtaposition of the ups and downs that are experiences in a day, in a year, in a minute. Tickets are $15 and are available at the tasting room or at http://www.feistwines.com/. Feist will offer wood fired pizza and wine for the evening. (Jackson, CA) The annual antique Musical Organ Rally comes to historic Jackson the weekend of September 24 – 25, 2016. Strolling Main Street from 10 a.m. to 4 p.m. Saturday, and 10 a.m. to 12 noon on Sunday, this free musical treat features beautiful vintage organs ranging from “monkey grinder” size to majestic. The mechanical instruments play a variety of melodies, from dance tunes and marches to carousel and classical pieces. On Sunday at 1 pm, the musical organs will assemble for a free indoor concert at Jackson United Methodist Church, just two blocks from Main Street at 120 Church Street, Jackson. For more information, visit www.VisitJacksonCA.com, www.VisitAmador.com or call Amador County Chamber of Commerce, 209-22-0350. 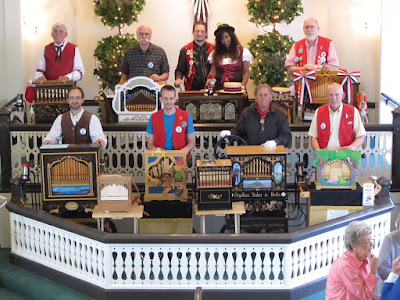 The Musical Organ Rally will assemble on Sunday, Sept. 25 at 1 pm for a free indoor concert at Jackson United Methodist Church, just two blocks from Main Street at 120 Church Street, Jackson. 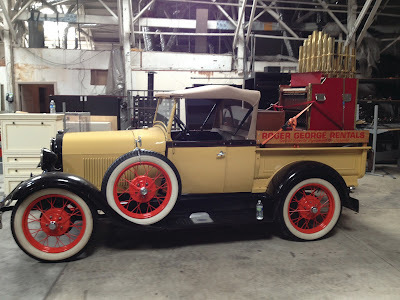 The 1929 Tangley Caliophone (and its 1929 truck transportation) will play on Main Street, Jackson, Saturday and Sunday, Sept. 24-25 at the annual AMICA Musical Organ Rally. 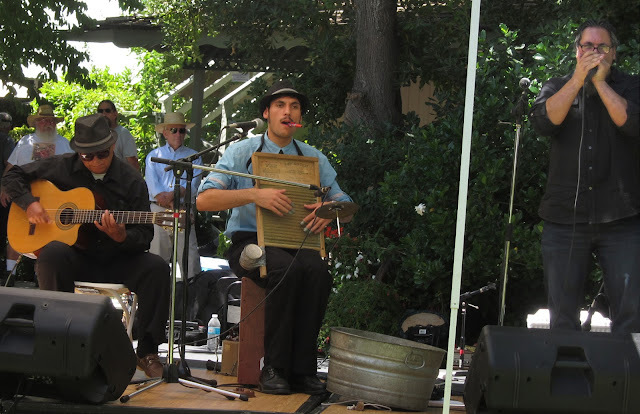 Saturday August 20th, 2016, on the grounds of the historic Sutter Creek Inn, the International Jug Band Festival will be celebrating its 14th year! This year’s FREE festival, starting at 11am and running until 9pm, will feature old favorites and new bands showcasing the variety and exuberance that is Jug Band Music. This festival is a "Kick in the Pants" fun time, with music that will get your feet tapping and set your soul free. Dance the day away or just sit under the shade tents on the lawn and enjoy the most unusual and wonderful music, performed by bands from near and far. What is Jug Band Music? 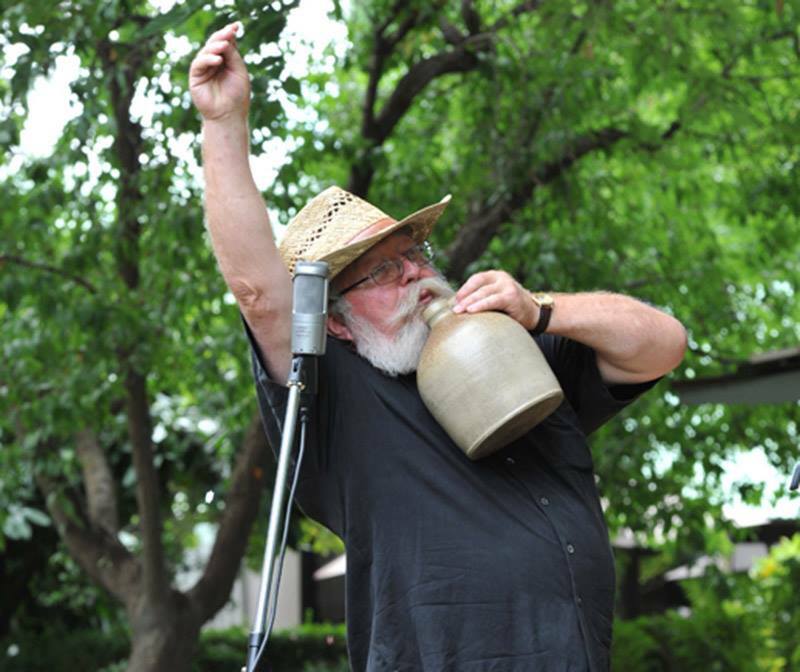 It is the grass roots of blues, played with any item that will produce music...spoons, saws, fiddles, banjos, wash boards, acoustic guitars, upright bass, homemade bass, and obviously...Jugs. New-to-Amador band, Coyote Hill, performs at the next T.G.I.F concert in Jackson on Saturday, August 5, from 6:00-8 pm at the Kennedy Gold Mine (not the Kennedy Amphitheatre). In Jackson, turn east off Hwys 49/88 opposite the Vista Point. Drive down to the historic gold mine. Bring your picnics and chairs to enjoy this very fine rootsy and jazzy bluegrass music, also folk blues with a few Brazilian beats thrown in. ​Coyote Hill is not to be missed. They're all excellent musicians​; most are from Tuolumne County. Give them a warm Amador welcome! 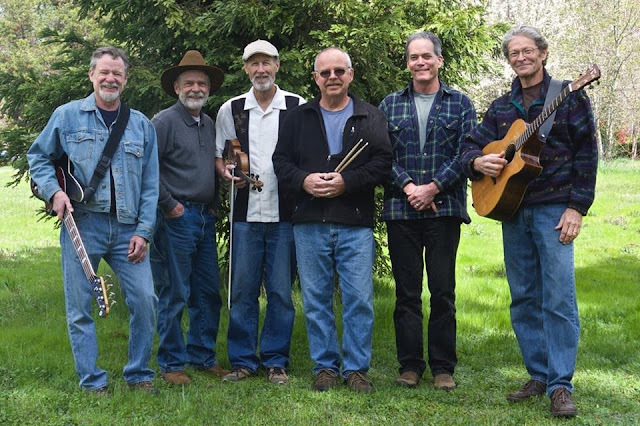 PHOTO, L to R: Stan Emmons, Bass, Steve McArthur, Keyboard, Rick Barlow, Fiddle, Coyote Bob Lehmann, Drums, Keith Evans, Banjo, mandolin and guitar, Richard Sholer, guitar, dobro, mandolin.